When I was a kid, I dreamed of becoming a Sports Broadcaster. When I attended my brothers’ baseball games, people often referred to me as the legendary Fox Sports Football Broadcaster, Joe Buck. We all have dreams and places that we want to go, but we don’t always do what is needed to reach those goals. At SOS Leadership, we talk about how “Goals are the difference,” and without goals, you are holding yourself back from success. While I no longer have aspirations to become a Sports Broadcaster, there are many other dreams and goals that I have. This past week I began the Seeds of Success Science of Personal Achievement program offered by SOS Leadership. Part of the program is to create a dream list. This list requires participants to think about where they want to go and what they want to achieve in their life. 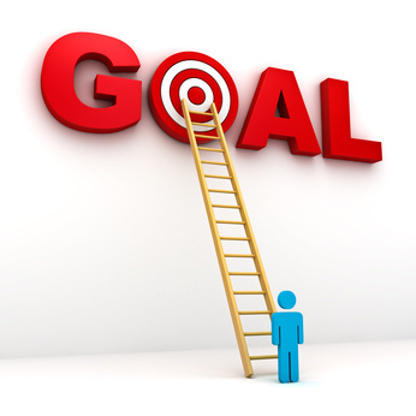 While you may start with two or three goals, you end up having 20-30 goals by the end of the week. A couple of weeks ago, I wrote about how Becoming Requires Overcoming, which highlights that in order to become the person or leader you were meant to be, you have to overcome something. My time in this goal-setting program has allowed for me to reflect upon my past and how I can become a better version of myself going into the future. With any goal, there are always obstacles we have to overcome. At SOS Leadership we talk about how one of the obstacles holding you back from success in goal setting is yourself. “Don’t allow your self-talk to dissuade you from your dreams… Negative self-talk will effectively ground you where you are.” There are also the people we refer to as the “yeabuts.” These are the people that every time you share a goal with them they respond with “yeah but…” Often times we allow for these types of people to hold us back from achieving our goals. For this reason we have to be careful who we share our dreams and goals with. Share your goals with those who you know will support you and encourage you along the way to help achieve your goal. To conclude, I want to leave you with a couple of points, 1) You are awesome! 2) You possess the ability to achieve, and 3) You will not be able to achieve your goals until you take the initiative. In the words of SOS President Billy Moyer, “goal setting is so easy, a four year old could do it.” So, go out and achieve your goals! ← Previous Previous post: X-Men: Are Charles Xavier and Erik Lensherr First Class Leaders?